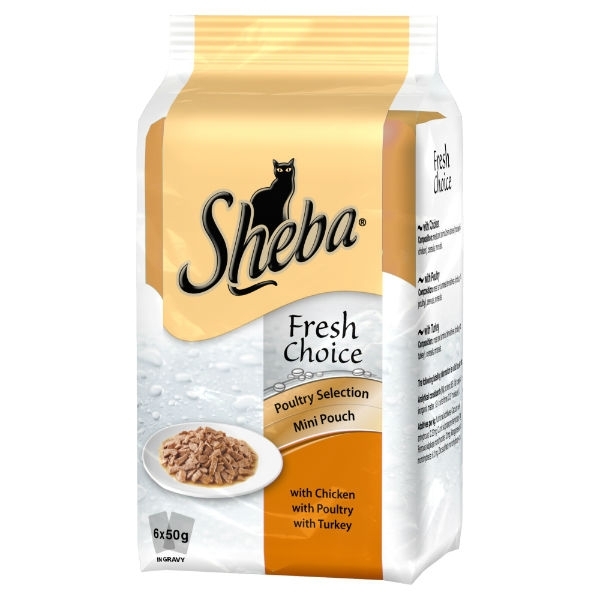 With the SHEBA® Fresh Choice pouch, prepared with quality ingredients, your cat enjoys the taste she loves. Every recipe is made with small, finely sliced pieces with fish or meat in a tempting gravy and always freshly served because of the small portion. Feeding your cat SHEBA® Fresh Choice will satisfy her feline appetite and will be a pleasure to you every time.